LOWER EAST SIDE — Families in the Lower East Side's District 1 have more choices than most when it comes to applying to kindergarten. 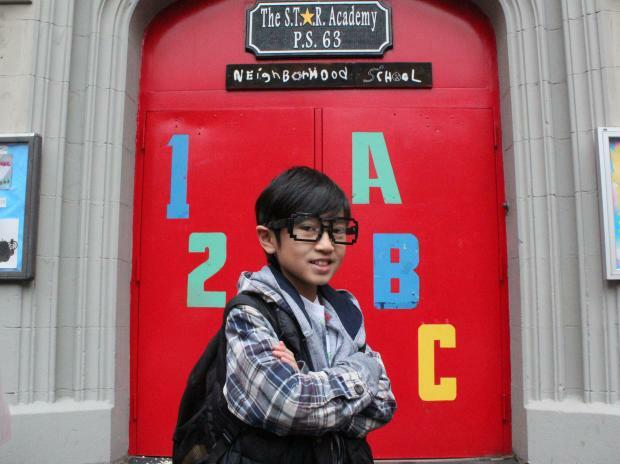 The district, which also encompasses the East Village and part of Chinatown, is one of the only places in the city where parents can send their children to any elementary school in the area, rather than being guaranteed a seat in a local zoned school. Parents say this choice can be both a challenge and an opportunity, as they weigh options like child-centered progressive schools, dual-language programs and more. "It was immensely overwhelming," said Florence Eng, a mother of three in District 1. "You would have thought I was applying for grad school — doing tours, weighing the pros and cons." Eng's research for her son, who is now in fifth-grade, led her to the Neighborhood School on East 3rd Street, one of the district's progressive elementary schools. Those schools are designed to offer an alternative to the older, more traditional programs in the area. The Neighborhood School, along with the Earth School on East 6th Street, offer bridge classes in which children of two different grades are taught in the same classrooms. "It reinsures that you are teaching the developmental age of the child and not the chronological age," Eng said. District 1 also has a handful to K-8 schools that are popular because they save parents and students the trouble of finding a middle school after fifth-grade. "A lot of people like [K-8 schools] because you don't have to go through a middle school choice process," said Lisa Donlan, president of the District 1 Community Education Council. "It also gives the school more time to work with the student and the family towards higher achievement." District 1 also offers the city's only two schools with a dual-language program for Mandarin Chinese: Shuang Wen on Cherry Street and P.S. 20 on Essex Street. P.S. 20 Principal James Lee and parents at the school warned that families should be prepared for the challenge of helping their child learn a second language — especially one that the parents may not speak themselves. "Initially I found it extremely difficult," said Christine Madhere, a P.S. 20 parent who had to enlist Mandarin-speaking friends to help her first-grade daughter with her homework. "It's worth it because every child deserves a challenge." Families in District 1 fill out a single kindergarten application ranking their choices, and this year, for the first time, parents can also apply over the phone or online. The Earth School, 600 E. Sixth St.
Bridged classes, minimal testing and a new $1 million rooftop garden all contribute to the progressive and child-centered learning style of this school, staffers said. The popular school often has a waitlist for incoming kindergartners. Students are given space to follow their curiosity and develop their gifts, said Principal Alison Hazut. A child’s progress is measured through assessments rather than tests, which provide feedback rather than a grade. The Neighborhood School, 121 E. Third St.
Parents are drawn to this school for its teaching philosophy — hands-on learning and bridged classes — despite its recent D grade from the city. Last year, the school saw twice as many first-choice applicants as seats, the school's principal said. Student leadership is another core value, with fifth-graders leading school tours for potential kindergartners. Last year, children hosted a lemonade stand to supplement the school library budget. P.S. 20, Anna Silver, 166 Essex St. Since 2010, students at this school have been given the option of a dual-language program in Mandarin Chinese and English. The school teaches both native-English and native-Chinese speakers together, with children modeling their native language to the other students in the class, said James Lee, the principal of five years. The program caused a surge in the school's popularity, triggering a kindergarten waitlist, Lee said. Shuang Wen School, 327 Cherry St.
With a long history of A progress report grades from the city, Shuang Wen features a dual-language program in Mandarin and English. Instruction at the school begins the day in one language before switching to the other halfway through. Former principal Ling Ling Chou was removed from the school amid controversy over irregular enrollment procedures in July 2012. P.S. 188, The Island School, 442 E. Houston St. This 400-student, K-8 school gives fifth-graders the option of staying in the same building for middle school. Families also benefit from an active PTA, a before-school fitness program, and activities after school and on Saturdays, school staff said. Tech-savvy students will also benefit from an excellent computer program that includes 3D architectural printing, programing, digital video editing and blogging.